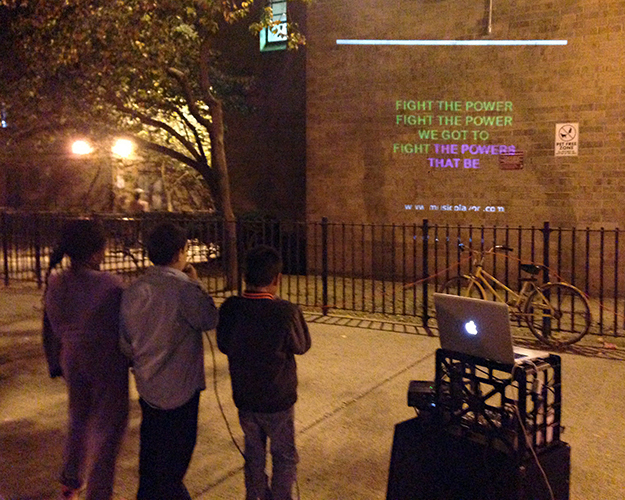 A New Song is a public performance in the form of a curated karaoke party. Taking inspiration from the International Workers Order’s 1938 pamphlet of the same name, A New Song features a song selection composed entirely of protest songs. 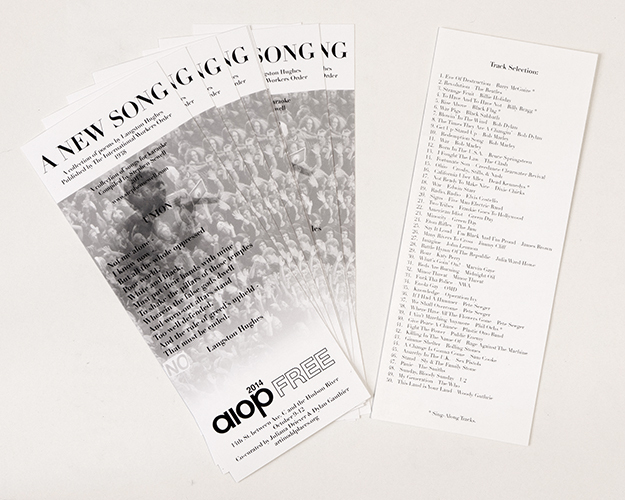 A flyer containing a list of available songs as well as a poem from the original IWO pamphlet is available for spectators and participants to take with them. 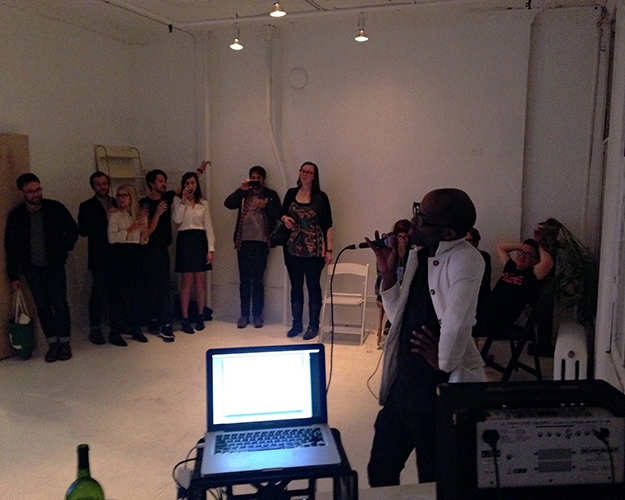 The performance offers the opportunity for individual self-expression within a communal setting to underscore the role that music has played in encouraging collective activism. Documentation from Art in Odd Places. New York, New York. 2014.